Our client for whom we completely renovated her house 7 years ago has requested we now spruce up the house. That meant repainting the walls and ceilings, doors and door-frames. 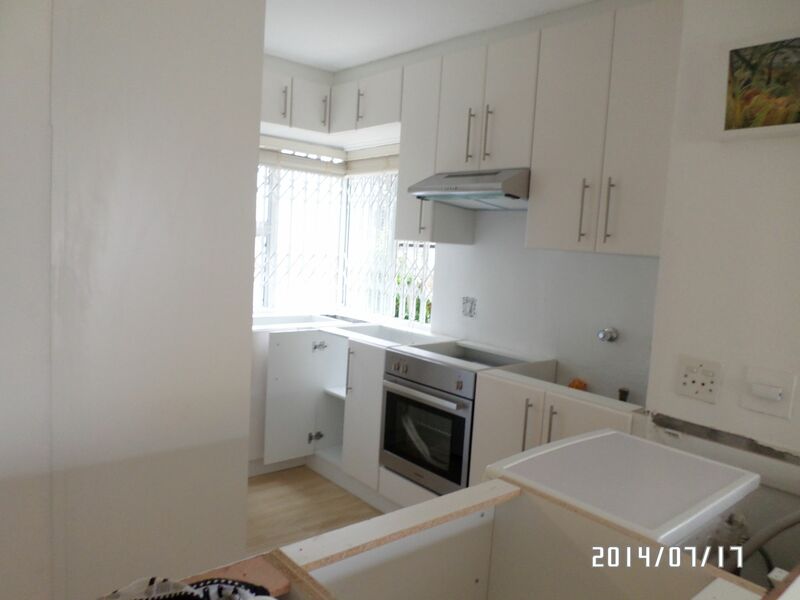 The purpose built kitchen, bathroom and living area wardrobes and cupboards also required a re-spray. Various other items required replacement or repair. 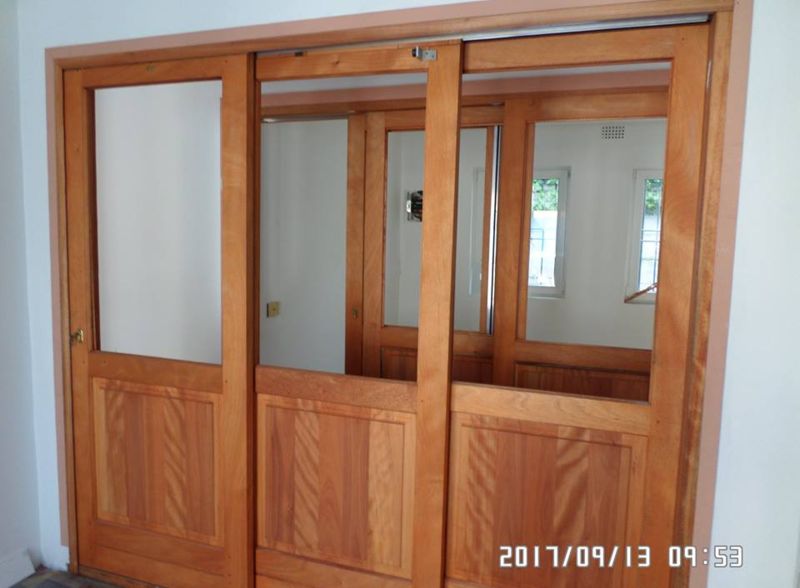 This client called us in to take over Project Management of the renovations to his house. Since commencing the Management function we have eliminated all ineffective workers and brought order to the site. The client should now be able to move in to his home in about 4 weeks. 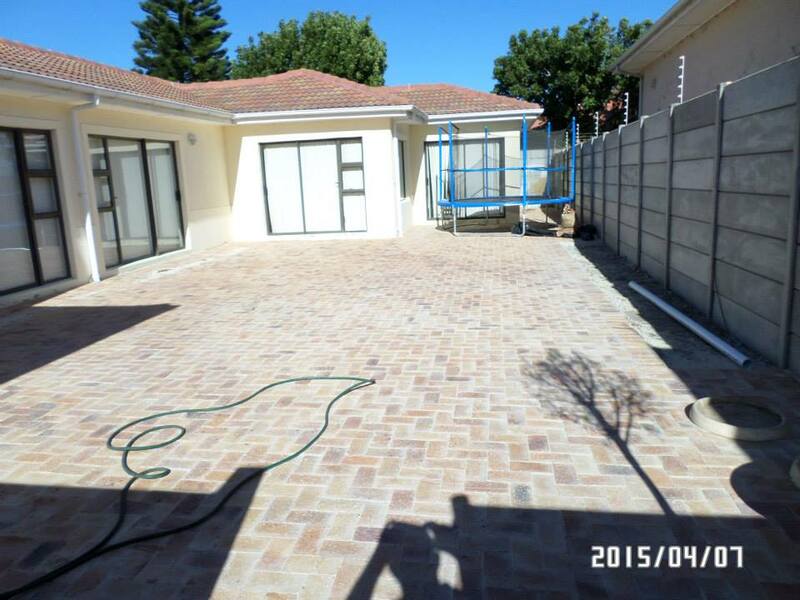 All garden and side lane was to be brick paved. Wall demolished and a motor gate was installed. Small kitchen. 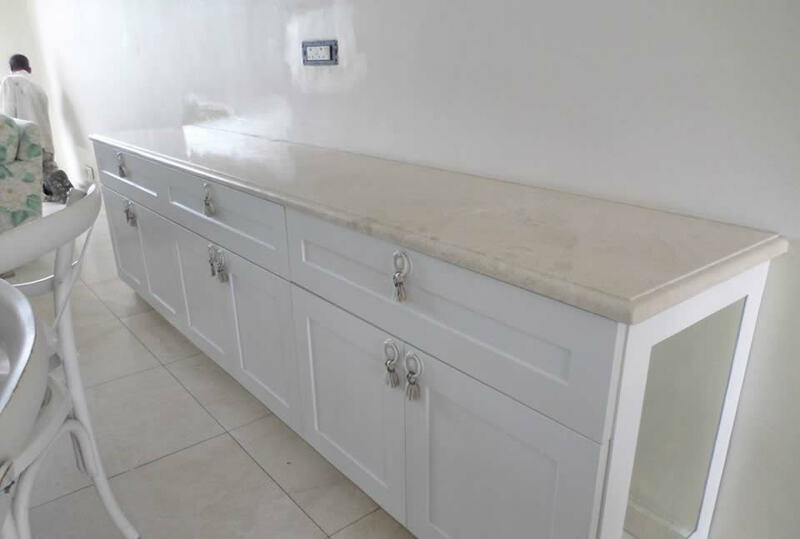 Client wanted tiles to be stripped from walls, walls to be skimmed, sink to be moved, cupboard doors fitted under the counter in the void. Geyser boxing was modified. We removed all the ceramic tiles from the floors except in the bathrooms. Timber skirting boards were also removed. 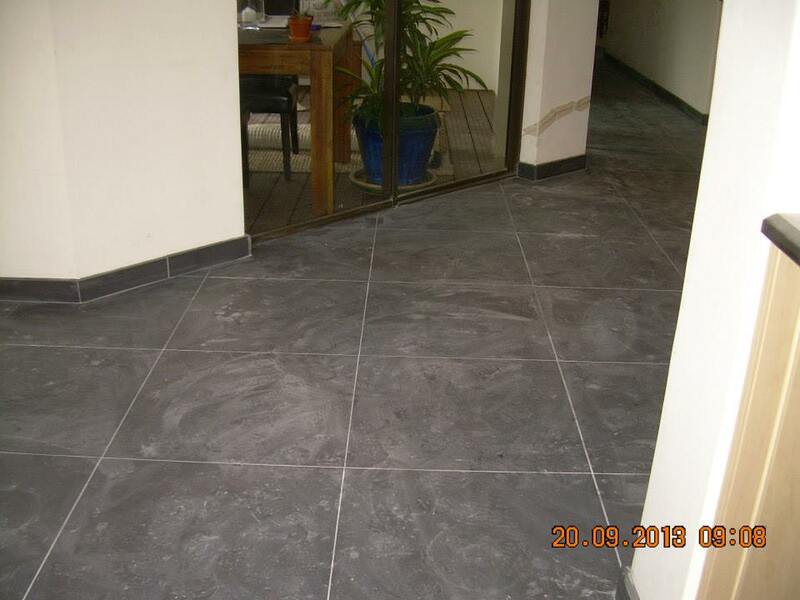 We layed 600 x 600 mm Porcelain tiles over 53 m2 and also cut tiles to make skirting tiles. 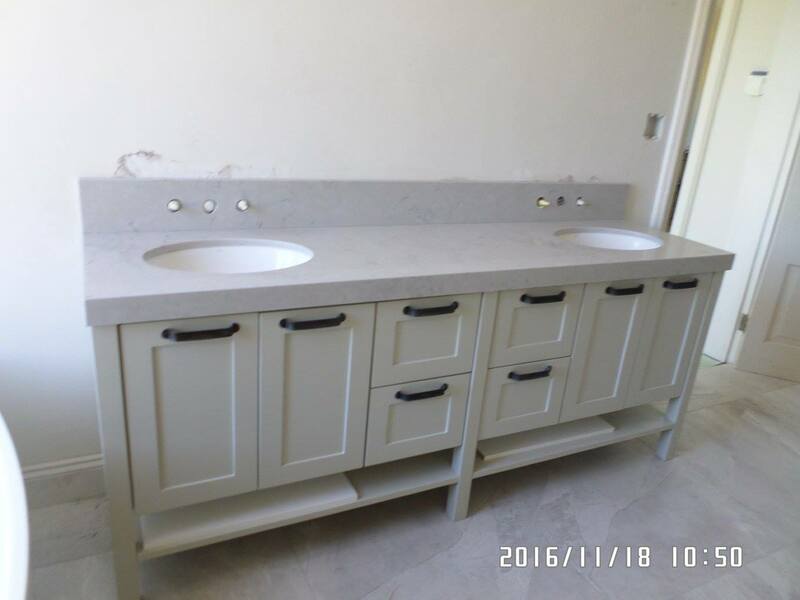 Bathroom renovations in Kenilworth! We fitted frameless showers, a new vanity and gave both bathrooms a new modern look and feel.